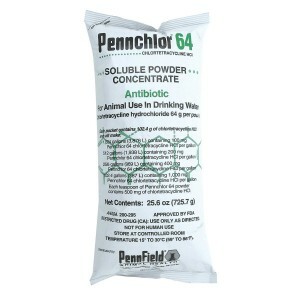 Pennchlor 64 is a soluble powder concentrate. 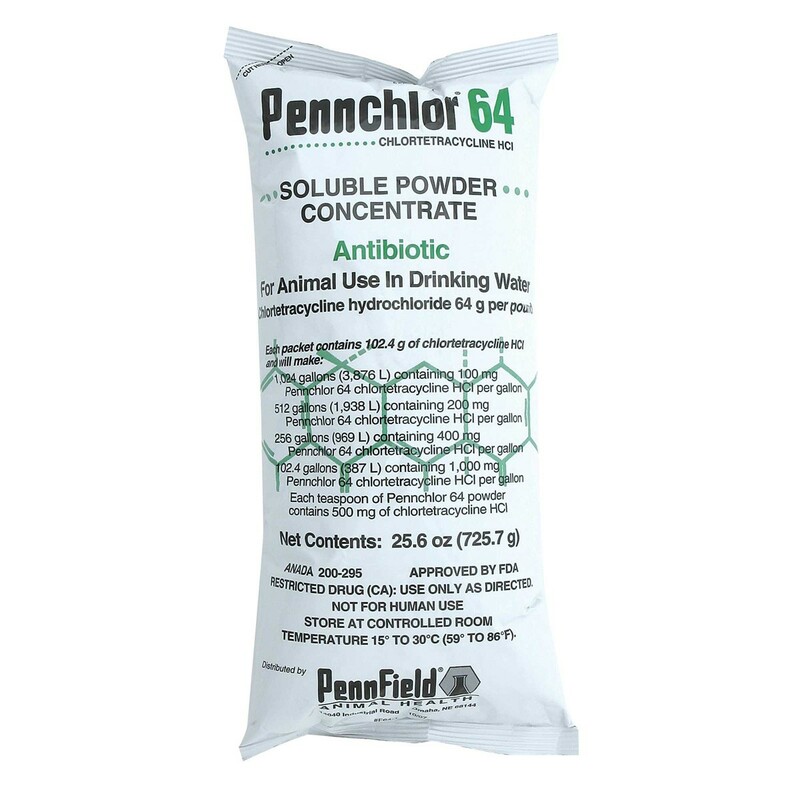 Each 25.6 oz package contains 102.4 grams of it’s active ingredient of chlortetracycline Hydrochloride. It serves as an antibiotic for animal use only and to be distributed through drinking water.